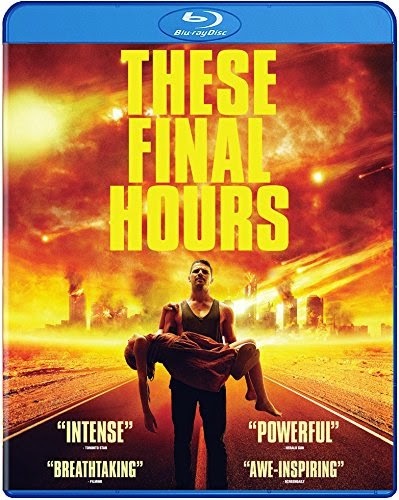 FREE KITTENS MOVIE GUIDE and WELL GO USA are giving away Blu-Ray copies of the intense apocalyptic film, These Final Hours. In this apocalyptic drama, James (Nathan Phillips) is a troubled young man on a mission. He’s desperate to join his girlfriend Vicky (Kathryn Beck) at the ‘party to end all parties’ and numb any feelings as the world comes to an end. On his journey however, James is greeted by a lawless and chaotic city, facing a cataclysmic event that will end life on the planet, and he discovers that getting to where he needs to be will not be easy. Along the way, he saves the life of a girl named Rose (Angourie Rice), frantically searching for her father. Out of options, James invites Rose to join him. Together they discover how they would truly like to spend their last moments on Earth in this world gone mad. To enter, simply leave us a message in KITTY KONTACT, located in the sidebar at the top of this page. Winners will be chosen at random.